WHERE IS THE SECRET MARK? paper will not pass the snap test detailed below the paper is medium to thick mottled paper with a yellowish hue or caste to it. forefinger and "snap" it close to your ear. A high pitched reply is hard paper. A dull thud, "flop", or no sound, is soft paper. 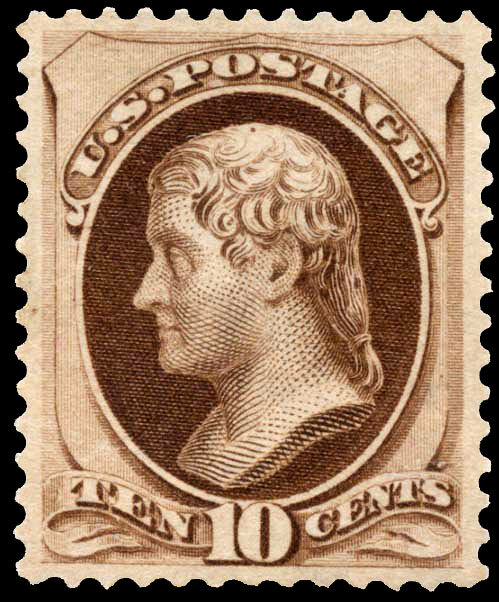 The 1873-1879 period was a period of intensive experimentation in the papers used to fulfill the tenets of the contract to print U.S. stamps. paper used to print stamps. steam press process. To solve the problem, Steele tried using a machine made, continuous web, soft paper that was "porous"
from cotton rags and old paper, with sometimes a little straw added. This extremely calendered paper, looks "mottled" (like modern newsprint) when held to the light. hard papers when subjected to the "snap test" (see above).